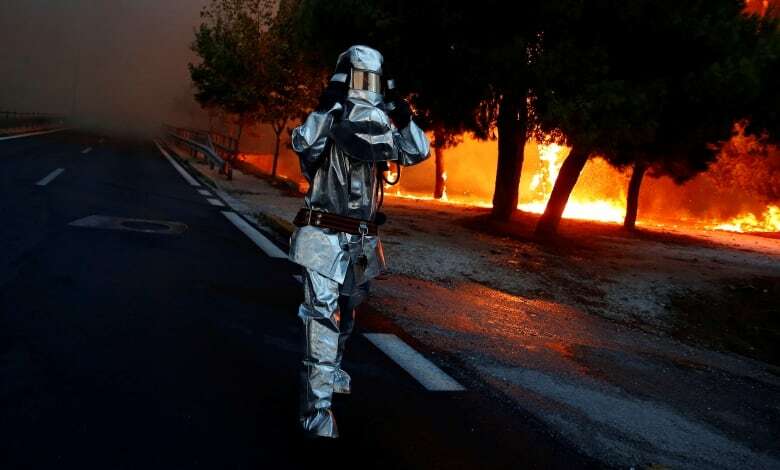 Wildfires sweeping through a Greek resort town killed at least 74 people, including families with children found clasped in a last embrace as they tried to flee the flames. The inferno was by far Greece's worst since fires devastated the southern Peloponnese peninsula in August 2007, killing dozens. It broke out in Mati late Monday afternoon and was still burning in some areas on Tuesday. Emergency crews found one group of 26 victims, some of them youngsters, lying close together near the top of a cliff overlooking a beach. They had ended up there after apparently searching for an escape route. By Tuesday afternoon, the Mati fire was contained, but the risk remained of it reigniting in scrubland parched by Greece's searing summer heat. Coast guard vessels and other boats rescued almost 700 people who had managed to get to the shoreline and plucked another 19 survivors and four dead bodies from the sea, the coast guard said. The Greek government said Italy is dispatching two Canadair firefighting planes and Romania is sending a third aircraft to help combat the fires. Nikos Toskas, the country's public order minister, said late Tuesday the aircraft are expected to arrive Wednesday morning to bolster firefighting efforts. Toskas said that if necessary, Greece would ask other European Union member states for additional help. EU Humanitarian Aid Commissioner Christos Stylianides said the 28-member bloc will take steps to upgrade its response to natural disasters that have been exacerbated by climate change. 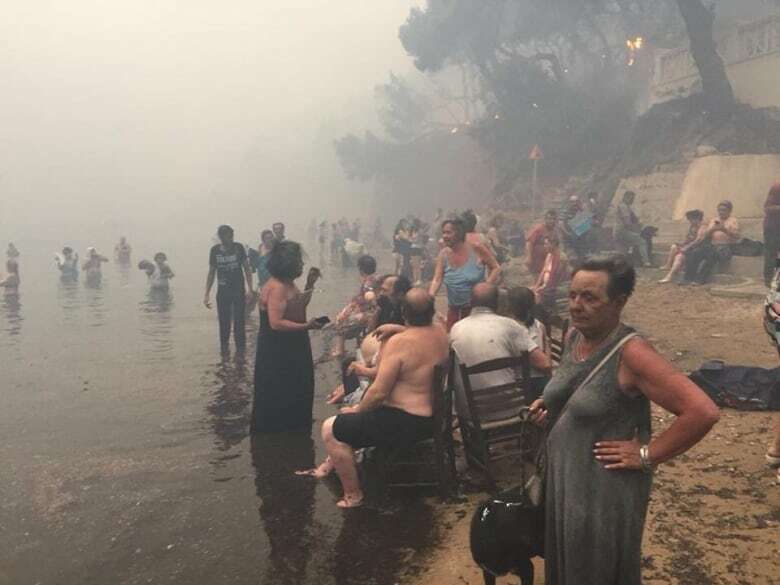 "Residents and visitors in the area did not escape in time even though they were a few metres from the sea or in their homes," fire brigade spokesperson Stavroula Maliri said. In total, at least 74 people had been killed, according to the fire brigade, and the death toll was expected to rise. Poland said two of its citizens, a mother and her son, were among the victims. "We went into the sea, because the flames were chasing us all the way to the water. It burned our backs and we dove into the water," said Kostas Laganos, a middle-aged survivor, who compared the ordeal to the destruction of the city of Pompeii, where thousands were incinerated by the volcano of Mount Vesuvius in 79 AD. It was unclear how many people remained unaccounted for as coast guard vessels combed beaches to find any remaining survivors, with military hospitals on full alert, a government spokesperson said. One of the youngest victims was thought to be a six-month-old baby who died of smoke inhalation, officials said. At least 187 people were injured, among those 23 children. Mati, 29 kilometres east of the capital, is a popular spot for Greek holiday-makers, particularly pensioners and children at camps. 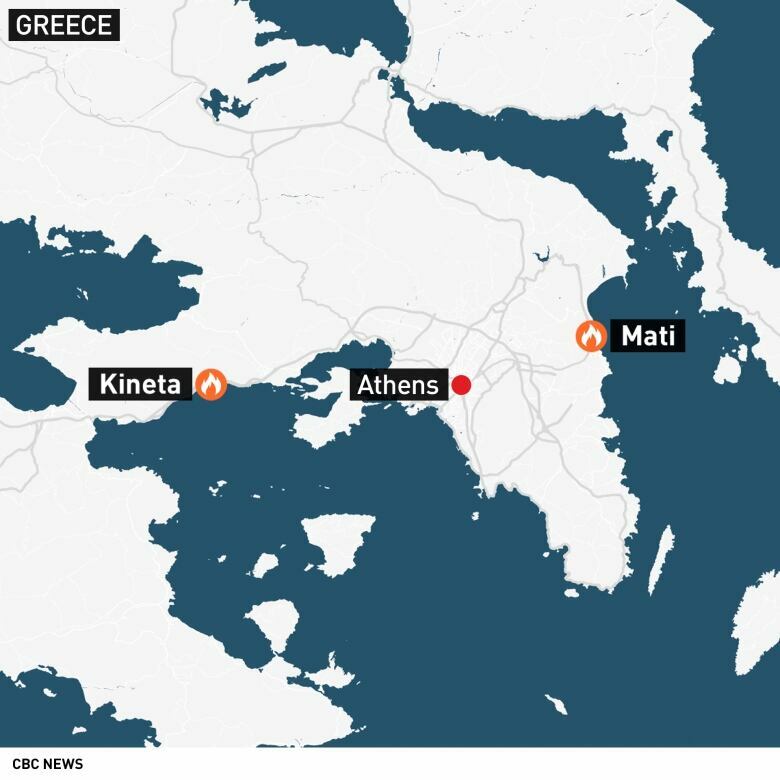 Greece's fire brigade said the intensity and spread of the wildfire at Mati had slowed on Tuesday as winds died down, but it was still not fully under control. The service urged residents to report missing relatives and friends. White smoke rose from smouldering fires in parts of Mati early on Tuesday. 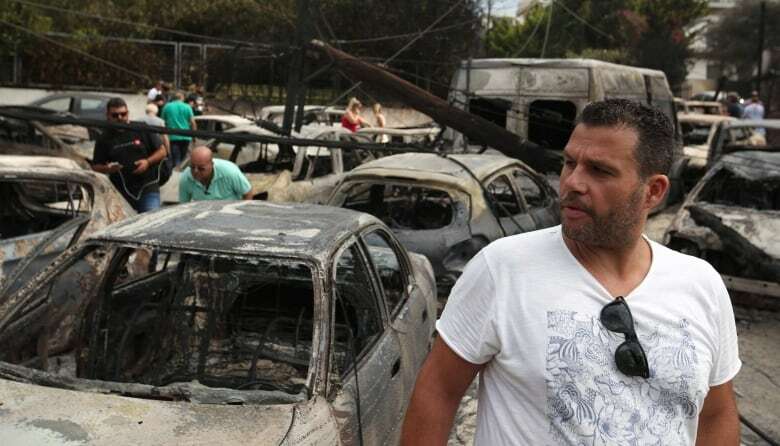 Burned-out cars were scattered outside gated compounds where three- and four-storey buildings bore signs of fire damage. "It is a difficult night for Greece," said Prime Minister Alexis Tsipras, looking pale after returning from a visit to Bosnia. Newspaper printed banner headlines including "Killer Fire" and "Hell" and reported fears the death toll would climb.